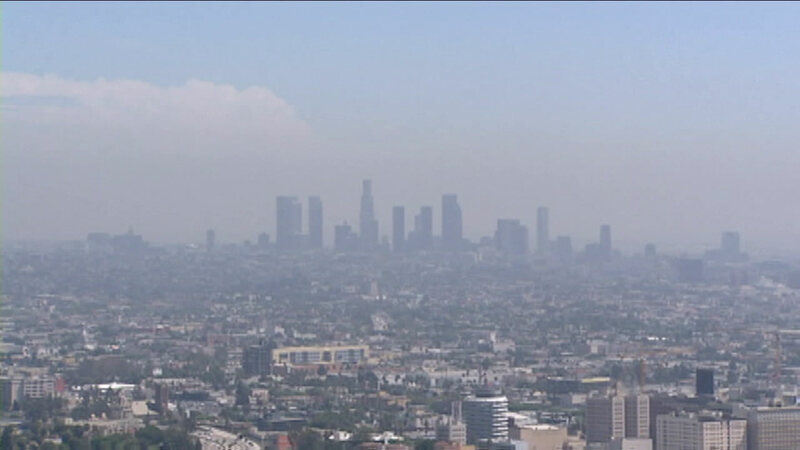 LOS ANGELES (KABC) -- The air in Los Angeles may be getting cleaner, but Southern California still has the most polluted ozone in the U.S., according to a new study. The report by the American Lung Association found that the Los Angeles region experienced its lowest levels ever for unhealthy ozone days. But despite those levels, Southern California remained the most polluted region in the U.S. and ranked the worst nationally for ozone pollution. The State of the Air report was based on air quality monitored between 2013 and 2015. Health experts said poor air quality puts residents at greater risk for premature death and other serious health effects.